Hardly the fond farewell fans were hoping for. larm bells rang when EA announced that Command and Conquer 4: Tiberian Twilight, the final title in the long-running Tiberium series, would be a huge departure from the traditions of the franchise. Surely the best way to send off the much-loved saga would to be to deliver the best classic Command and Conquer experience possible? It turns out these warning signs were justified. Tiberian Twilight not only gives franchise fans the middle finger, but also fails to create a compelling enough experience for newcomers either. In recent years Relic Entertainment's Company of Heroes and Dawn of War series have become synonymous with cutting-edge real-time strategy. Taking note of this success, EA Los Angeles has clearly decided to create Command and Conquer 4 in the same vein. Battles now revolve around taking and holding node points instead of skirmishing to decide who can be the last man standing.As a result, battles now revolve around taking and holding node points instead of skirmishing to decide who can be the last man standing. To accommodate this, base building is largely eschewed in favor of a single mobile unit factory called a crawler, with traditional resource management also falling by the wayside. But where Relic's games' design choices to added depth and complexity to the genre, C&C4 adds simplicity — in most cases too much. The game's alternative to resource gathering — an allowance based system that limits the maximum amount of units per team — takes away the ability to earn decisive advantages over opponents. Complex and flexible strategies also seem a thing of the past, as you're funneled down one of three specific paths when you choose between the attack, defense or support crawler. The new overarching RPG-style leveling system also works against having a balanced experience, rewarding those who've sunk the most hours into the game with additional upgrades rather than those who make the most decisive moves in actual matches. This even affects the singe-player campaign, with the rather harsh difficulty curve assuming you've already leveled up a few times in multiplayer. Speaking of which, the campaign's story is probably the element that most resembles a traditional C&C title, but even this is a shadow of its former self. Phoned-in performances: even Joe Kucan's Kane seems downplayed to the point of being out of character. Live-action video sequences have almost always provided the narrative of the franchise, supplying a kind of campy drama that incorporated a smattering of well-known actors like James Earl Jones, Michael Biehn, Tricia Helfer and Michael Ironside. C&C4 retains these scenes though again fails at successfully taking them in a new direction. It tries to go for a more subtle and more empathetic approach but falls flat thanks to bland performances from a host of no-name actors. Even Joe Kucan's Kane, the enigmatic yet delightfully sinister antagonist of the saga, seems downplayed to the point of being out of character. What you'd hope would be a fitting conclusion to the tale that began in the very first Command and Conquer turns out to be anything but. There's no satisfying sense of closure here and no big reveal on the mysterious Kane. It also lacks any feeling of occasion, rarely even acknowledging that this is meant to be the resolution to an expansive story started fifteen years ago. I honestly don't think I could recommend Tiberian Twilight to anyone. Its oversimplified game play can't hope to bring in fans of the better-designed games that it took inspiration from, and it seems almost aggressive in the manner it tries to alienate its current set of fans. Just avoid this one, whoever you are. This saddens me. 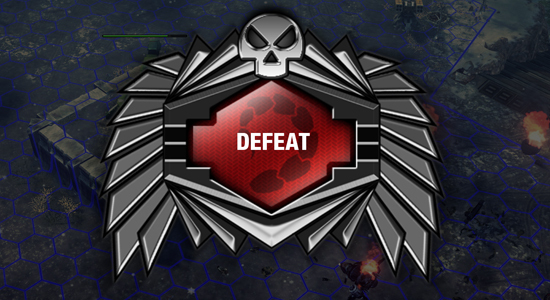 =( Command & Conquer is the game that got me into pc gaming years ago. Since that game released I have bought every C&C game & expansion. My dad even got into gaming with this franchise & we would spend hours battling each other through our networked computers. Only about 2 days ago did I know about this new game when I saw it on the shelf at Target. I have been excited to buy it until now. If it's as bad as you say then I will skip it. The last couple of titles haven't been as great. Nothing has matched the original title or Red Alert.